The Bureau of Civil Aviation Security (BCAS) regulations say that there is high probability of differently-abled people carrying weapons, explosives and other dangerous materials with them, and therefore, there is ample reason to be more alert and wary. In reply to a query filed under the Right to Information by the DRG, the Airports Authority of India said: “There is no scope for leniency in respect of invalid/disabled/sick persons during the pre-embarkation screening/procedures. On the contrary, there is ample reason to be more alert and wary.” As a result, disabled passengers face undue harassment at the hands of untrained security personnel. 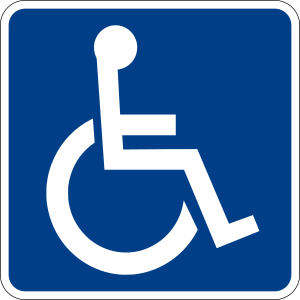 More often than not, disabled passengers using a wheelchair are asked to “stand up” or “transfer” from their personal wheelchair to sub-standard airport wheelchairs. What the security personnel do not know is that most wheelchair users use customised wheelchairs and cushions. In contrast to the Indian scenario, the U.S. Transportation Security Administration (TSA) has a dedicated helpline to assist travellers with disabilities and medical conditions. Passengers can call 72 hours ahead of travel for information about what to expect during screening. TSA Cares serves as an additional, dedicated resource specifically for passengers with disabilities, medical conditions or other circumstances or their loved ones who want to be prepared for the screening process prior to flying. When a passenger with a disability or medical condition calls it, a representative either provides information about screening that is relevant to the passenger’s disability or medical condition, or refers him/her to disability experts at the TSA. “Nowhere in the world will a disabled person be asked to take off leg braces, or explain medical attachments like a leg bag that holds urine,” said DRG convener Javed Abidi. “This is not only humiliating but a violation of human rights. We are not asking for any leniency in security procedures. After all, civilised nations of the world have developed systems to ensure that disabled passengers are frisked with due respect to their dignity,” he noted. Although, Directorate of Civil Aviation guidelines clearly mention that a passenger is allowed to take her/his own wheelchair to the boarding gates, security personnel bully those who are not aware of their rights. “What is even more shameful and embarrassing is that countries that have a greater security threat and stricter security programmes have defined guidelines for screening passengers with disability. At no airport in the U.S., the U.K., the European Union and even countries like South Africa, Malaysia, Hong Kong, Korea, Thailand, and UAE will a disabled passenger using a wheelchair be asked to ‘get up’ from her/his wheelchair,” Mr. Abidi said.